The Ohio Department Of Education has declared Monroe on Fiscal Watch. This is an upgrade from Fiscal Caution, a condition the school has been under since November of this year. 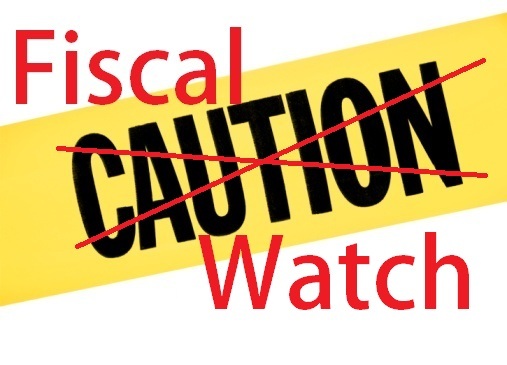 Fiscal Watch, according to ODE Auditor Mr. Roger Harding, will be declared when a school district is in an 8 percent deficit and a fiscal emergency is when a school district is 15 percent or worse. A deficit is measured by a school district's end of year balance divided into the revenue stream. The deficit, for example, would be 2% if a school district had a $10 million revenue stream and a $200 thousand deficit. The entire problem stems from 'improper' posting of fund expenditures since perhaps the inception of the district in the year 2000, but likely since 2005 or later. The 'improper posting' mistake was not discovered until Treasurer Kelley Thorpe resigned in July of this year and an interim treasurer (Ken Ulm) was appointed. Interim Treasurer Ulm immediately found a major discrepancy which turned out to be a serious financial problem for the school district. On Monday July 25, the Monroe School Board held an emergency meeting for the purpose of borrowing $1.4 Million to keep the district from bouncing teacher paychecks. "Monroe Local Schools needs to borrow approximately $1.4 Million to make payroll among other expenses...",said Superintendent Libbie Lolli at the time. From there the school district's finances were audited by Roger Hardin and Dean Horton of the Ohio Department of Education. Upon completion, MLS 5-year forecast was revised downward by millions of dollars and as a result the school district was declared in Fiscal Caution. As of December 15th MLS District is officially in Fiscal Caution by the ODE. The district will likely be headed to fiscal emergency in May of 2012. This has been confirmed by Superintendent Lolli. The Graph Above Shows forecasts from former Monroe Schools Treasurer Thorpe, Ohio DOE Auditor Horton, MLS School Board and current Treasurer Cahall. 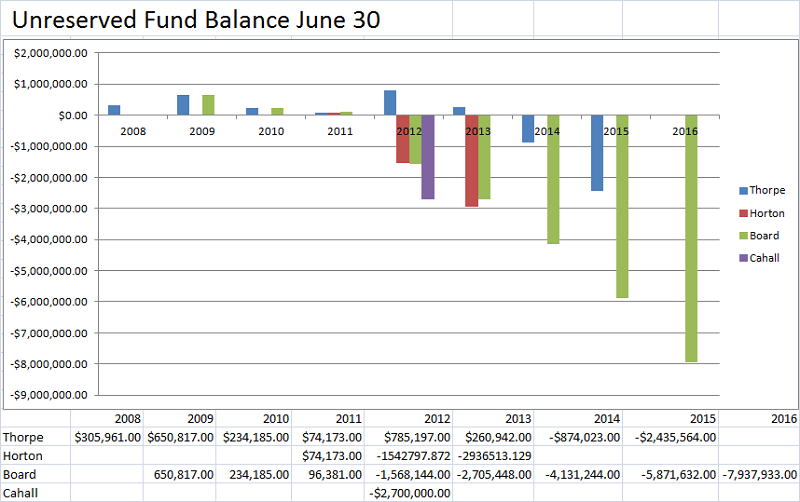 Dateline: May 24, 2011, Monroe News reports that the Monroe School District will deficit spend starting in 2012 and will become insolvent by 2014 if major financial adjustments are not made. The community was kept in the dark regarding school finances from May 24 until September 27, when Hardin and Dean reported their findings. Dateline July 22, 2011. Ken Ulm, hired as interim treasurer, discovers severe financial problem with MLS financial reporting. Dateline September 26, 2001. Roger Hardin from the State of Ohio Department of Education officially puts Monroe Schools in Fiscal Caution. Dateline November 1, 2011. Ken Ulm, the interim treasurer, is replaced by the new Monroe Schools Treasurer, Holly Cahall. Other Ohio Schools in Fiscal Watch include Coventry Local SD Summit County, which went into Fiscal Watch 14.5 years ago on May 15, 1997, Niles City SC Trumbell County for 8.7 years, Cloverleaf Local SC Mdeina County, 7.7 years, Brookfield Local School District also in Trumbell County for 5.7 years and Mansfield City SD in Richland County now in its 4th year of Fiscal Watch.